Freshpak rooibos has collaborated with the internationally acclaimed Ndebele artist Dr. Esther Mahlangu to create a limited edition tin to celebrate our proud, South African heritage. 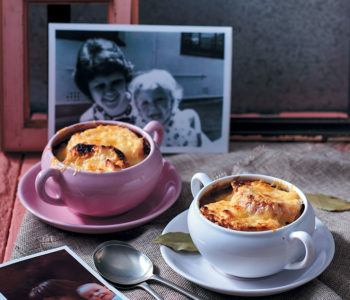 Mam Esther’s artwork and Freshpak rooibos are world-renowned, and are regarded as uniquely South African exports. 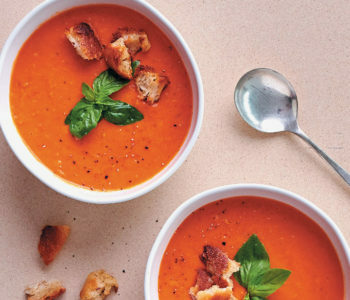 Rooibos is widely known for its health benefits, and Freshpak rooibos is naturally caffeine-free and a rich source of antioxidants. Esther Mahlangu is one of South Africa’s most globally acclaimed visual artists. Mam Esther was born on a farm outside Middelburg, Mpumalanga in 1935 and in the tradition of the Ndebele people, she was taught the skill of mural painting and beadwork by her mother and grandmother. Mam Esther became the first artist to transfer the traditional Ndebele designs that would typically decorate wall murals, to canvases; which allowed her to tour the world, acting as a global ambassador for South Africa and Ndebele art. She has collaborated with numerous respected museums, galleries, artists, curators and entities during her illustrious career. Mam Esther is passionate about conserving and promoting Ndebele culture and is considered by many to be a South African national treasure. To date Mam Esther has received over 20 honours and awards, the latest being an honorary doctorate from the University of Johannesburg. Mam Esther will also receive a second honorary doctorate from the Durban University of Technology (DUT) during Heritage Month this year. 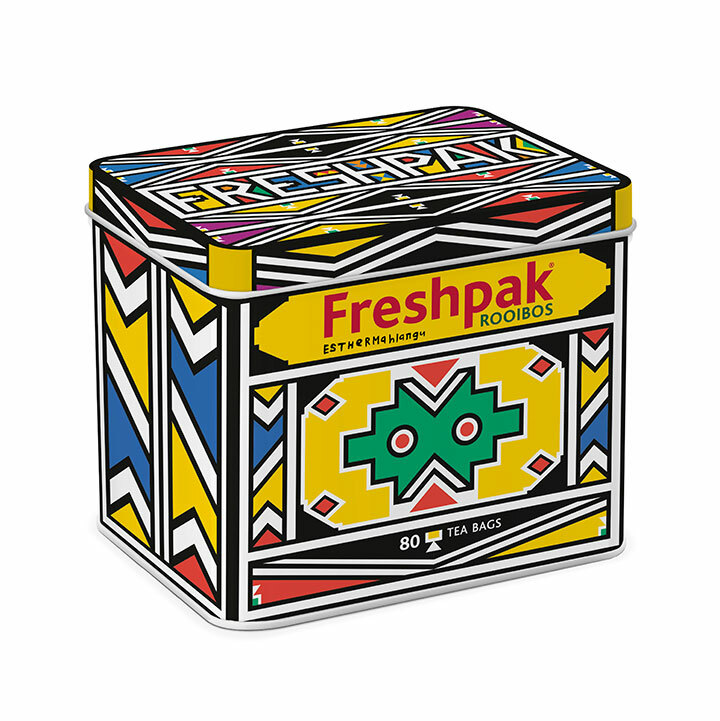 The Freshpak x Esther Mahlangu limited edition tin has been specially designed by Mam Esther, with only 40 000 tins available nationwide at the end of October 2018 in Checkers, Pick n Pay, Spar, Makro and Fruit & Veg stores. A portion of the proceeds will be donated to an NGO to ensure the preservation of this beautiful art form.